Every year, Alex Meints, 17, speaks to younger students about his experience being on the autism spectrum. He has spoken at Clague Middle School’s Abilities Day for sixth graders and at Allen Elementary’s 4th grade Disability Awareness Workshop. 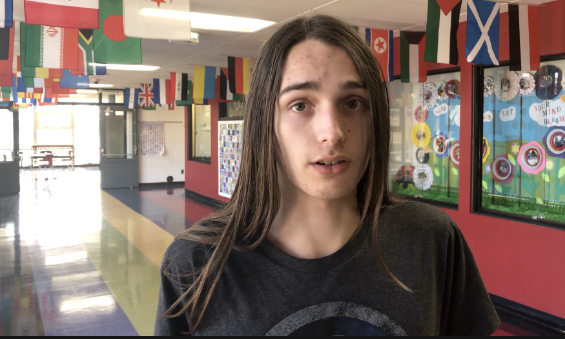 The Huron High School junior, who has attended AAPS since he was in preschool, says his goal is to help promote empathy and understanding. His mother, Karen, says Alex’s time at school was not always easy, especially in elementary school when at times he was overwhelmed with sensory issues. His family has always encouraged him to be open about his autism diagnosis and to be proud of who he is and of what he can accomplish. And he’s accomplished a lot. Alex, who is a figure skater, Eagle Scout, Ann Arbor District Library volunteer, and classic rock and video game enthusiast, hopes to attend college to become a librarian. What an impressive young man (and mom). Thank you for this story and video!